Dublin and Kildare with contest the inaugural EirGrid Leinster U20FC final following their semi-final victories over the weekend. The provincial decider will take place this coming Friday night in O'Connor Park, Tullamore (7.30). An impressive Dublin showing in Saturday night's provincial semi-final in Páirc Tailteann, Navan saw them overcome their hosts by 12 points in a fast-paced encounter. The Dubs made the dream start when James Madden's searing pace cut through the Meath defence and he off-loaded to James Doran to fire to the net inside the opening minute. Doran and Ross McGarry added points to see the Dubs 1-2 to 0-0 clear inside seven minutes. Tom Keane enjoyed a terrific first half and he tallied five points, three from play as Dublin continued to hold the upperhand. However, towards the close of the half Meath began to battle back and David O'Hanlon, who impressed from kickouts and general play, denied Darragh Campion from close range. In first-half added time Meath were awarded a penalty for what ref Brendan Cawley adjudged to be a foot block and Frank O'Reilly closed the gap to 1-8 to 1-5 at half-time. The Dubs had dominated most of the half and had looked dangerous in attack while at the back the defence was limited Meath's attack yet now only led by three points having played with the wind advantage. Straight from the throw-in again Dublin struck for goal. Team captain Seán Bugler, who operated at midfield alongside Donal Ryan, ran at the Meath defence before passing to Madden who flicked the ball onto James Doran who rifled emphatically to the net. 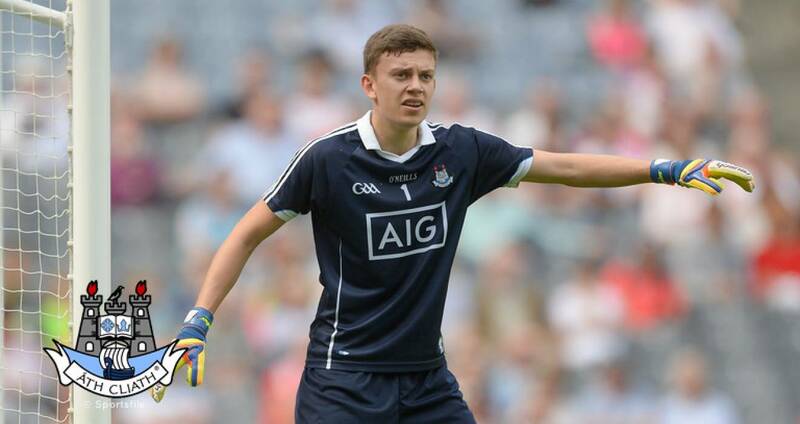 Dublin extended their lead further with well-worked points from McGarry and Cormac Howley and by the time Keane tagged on two more scores, to bring his personal tally to 0-7 (0-2f), Dublin were 2-12 to 1-6 clear in the 38th minute. Meath had reduced that deficit by two points before they had a goal disallowed for a 'square ball' and Dublin took full advantage of that good fortune to add their third goal in the 20th minute. Again inventive interplay by the Dublin forwards in the 50th minute created the opportunity with Dan O'Brien's overhead palmed effort hitting the crossbar but the goal-poaching skills of McGarry were very evident as he collected the rebound and angled his shot to the net among several converging defenders to make it 3-12 to 1-8. Sub Karl Lynch-Bissett got in on the goal-scoring act in the 52nd minute with a clinical finish to the net. Two minutes from the end of normal time Jordan Morris scored a spectacular goal for the home side when he unleashed a thunderbolt from outside the 20-metere line that gave keeper O'Hanlon no chance. Dublin tidied the game up well with late points from the influential Bugler and a McGarry free to book their berth in the provincial decider. SCORERS - Dublin: J Doran 2-1, T Keane 0-7 (0-2f), Ross McGarry 1-4 (0-1f), K Lynch-Bissett 1-0, S Bugler 0-2, D O’Brien, C Howley 0-1 each. Meath: J Morris 1-4 (0-3f), F O’Reilly 1-2 (1-0 pen, 0-1f), A Kealy, E Devine, J Conlon, S Walsh 0-1 each. DUBLIN: D O’Hanlon; N Nolan, N Doran, C Smith; K Kennedy, N Matthews, E O’Dea; D Ryan, S Bugler; J Madden, J Doran, C Howley; D O'Brien, T Keane, R McGarry. Subs: S King for Kennedy (21, BC), G McNamara for Nolan (44), K Lynch-Bissett for Howley (48), J Holland for J Doran (52), C Hynes for Ryan (57), E Fitzpatrick for Keane (57). MEATH: A Beakey; R Clarke, C Harnan, K Slavin; E Smyth, E O'Kelly Lynch, J Cassidy; E Devine, A Murphy; S Reilly, D Campion, J Scully; F O’Reilly, J Conlon, J Morris. Subs: S Walsh for Reilly (ht), S Ryan for Cassidy (38), A Kealy for F O’Reilly (54), S McDonnell for Devine (57), B McGowan for Slavin (57), B O’Reilly for Smyth (60).